If you own a business, blog, website, or all of the above, there’s a good chance one of your main goals is to build a healthy, active email list. Email is the key to connecting with your audience and providing them with content that best suits their interests and needs. Not everyone has a social media account you can reach them on, but most do have an email address. Statista reports that there are almost four billion email users worldwide and that number continues to grow. It’s a communication medium that’s seemingly never going to disappear, so using it to stay in tune with subscribers is essential to building your email list. 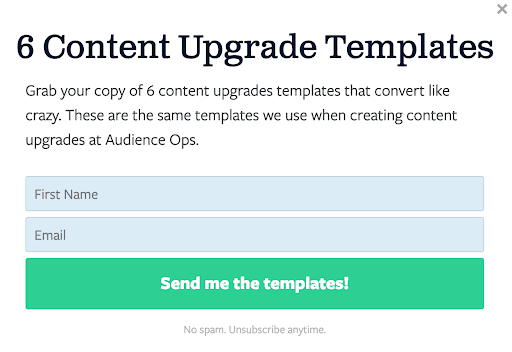 A great way to boost your email signups is by using content upgrades. A content upgrade is an opt-in on a blog post that leads to bonus content and deals with the same topic. It’s commonly confused with a lead magnet, and though they’re similar, they differ in the types of content they provide. Lead magnets can be a resource on any topic, but upgrades are specific to that post. As users scroll through a blog post, they’re met with a content upgrade that offers them additional valuable information in exchange for their email. The reason upgrades bring in higher conversions is because they offer relevant content the user is already interested in, so it’s likely they’ll hand over their email to get the information they want. Giving users an incentive to sign up for your email list will increase the chances that they’ll take action. Content upgrades are proven to increase email opt-ins and engagement. ValueWalk, a financial investment news site, was able to increase their conversions by 216 percent in one month due to content upgrades. 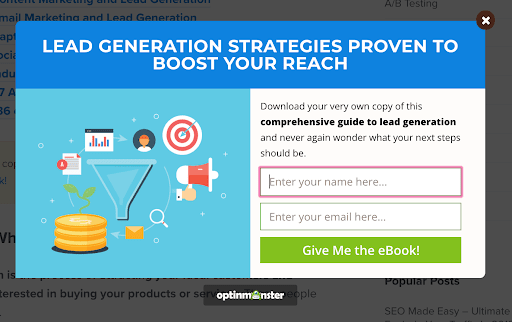 They used OptinMonster to create powerful, persuasive opt-ins that encourage users to subscribe to their list. There’s a high chance your blog could see the same kind of conversions if you utilize upgrades properly. 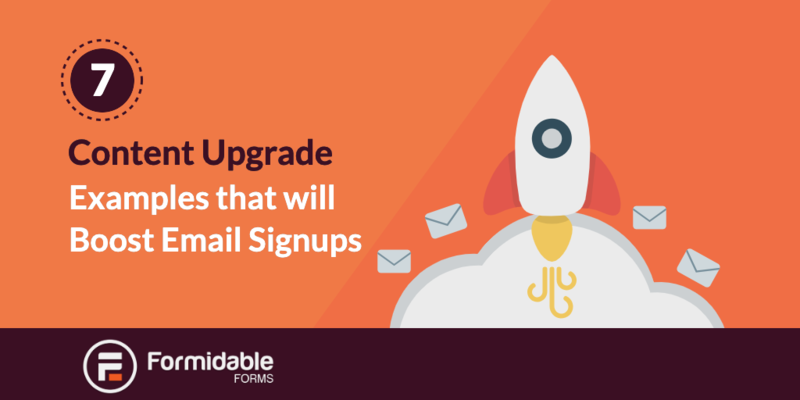 Here are seven examples of content upgrades that are guaranteed to boost your email signups. Checklists exist to make life easier for users and keep them on track for the task they’re doing. If you have an extensive how-to guide or content that can be condensed into steps, it’s perfect to turn into a content upgrade. They don’t take much time to make and visitors love them because they make their lives easier and straightforward. Checklists are great for long-form content that goes into detail about how to do something. So, if there was a blog post about how to make blueberry muffins, a good checklist might be listing all the ingredients needed to make the recipe. Ebooks are one of the more popular content upgrades you’ll find on blogs. An ebook is a digital electronic book that marketers and bloggers use as a comprehensive guide for readers. There are a lot of different things you can do with an ebook. You can make it a condensed version of your blog posts so users can get through it quickly or take it with them on their devices. 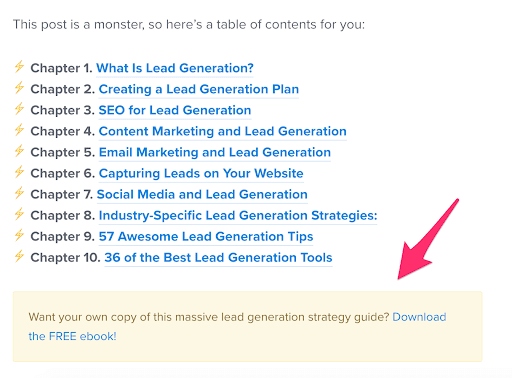 If you have a series of blog posts in the same category, you can take those posts and turn them into an ebook to make a comprehensive guide. Your audience will have all the information in one place and it’ll convince them to sign up and grab it. When there’s a topic your users are super interested in, they’re going to want to soak in all the information they can. 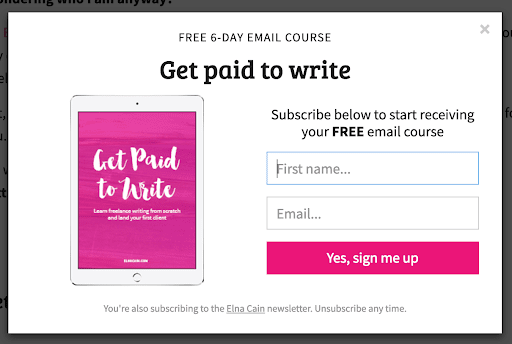 When their interest in your content is at an all-time high, signing up for an email course will be a dream to them. This type of content upgrade invites potential subscribers to sign up for an email series that teaches them something specific and goes in detail. Use email marketing automation so your emails get sent on time. Being consistent in your emails and offering insightful advice and tips positions you as a leader in your industry. This boosts your credibility and earns your audience’s trust. Email is also a great indication of whether users like your style of emails or not, and this information can help you streamline your target audience so it’s more accurate. Who doesn’t love a quick shortcut when they can get their hands on it? 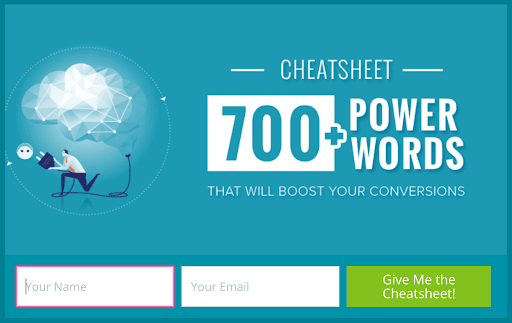 Cheat sheets save your audience time and frustration, and just the phrase “cheat sheet” makes you think you’re onto something useful. It takes all the relevant information in a blog post and condenses it for easier consumption. If you write a blog post about using actionable language in your blog posts, you could create a cheat sheet with a list of words that fall under this category. Users can then skim the list and pick and choose which words to use in their own posts. Templates are great because they provide the framework for calculating or solving a problem. All you have to do is download it. They present an enticing offer that tells viewers they can have a valuable resource free of cost. There are so many different types of templates you could give away as a content upgrade and it usually depends on your industry. Common types are email templates, budgeting templates, organization templates, etc. Address a problem in your blog post and then hit your readers with a content upgrade that’ll solve that problem. The upgrade’s purpose is to make users’ lives easier, and resources compiled in one place is a great way to do that. Sharing your vast resources also positions you as a generous blog owner willing to help viewers at no cost. It leaves your audience with a positive view of you. What tools or resources are helpful time-savers in your industry? For example, if you write a blog post about a beginner’s guide to email marketing, a helpful content upgrade might be a list of helpful articles on creating campaigns or tools beginners need to get started. It all depends on the topic at hand, but any way you can compile a list of tools and resources will prove helpful to your audience. While most users can appreciate a good video or podcast, there are still some that prefer reading text over visual content. Perhaps they want the information laid out in front of them plainly or blog posts are within their comfort zone. 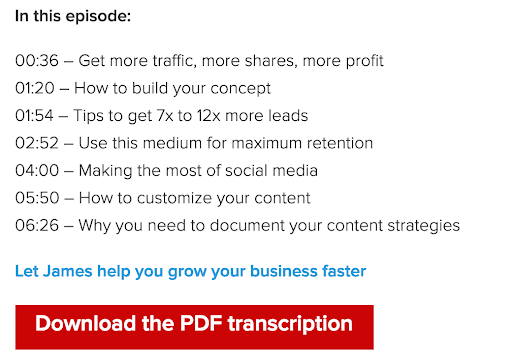 Whatever the reason, it’s super useful to include video and podcast transcripts for your posts. Add transcriptions to any of your content that includes videos, interviews, or podcasts for more options of consumption. Content upgrades can work wonders for your email list. 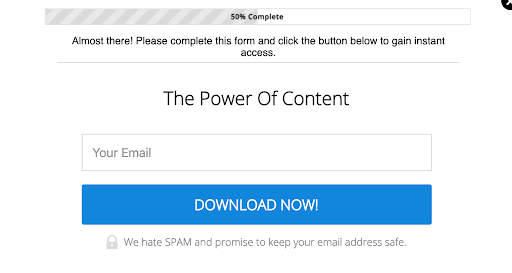 They’re an invitation for users to get free content that’s helpful for them and beneficial for you because they hand over their email in the process. By providing different types of content in different formats, you’re enticing readers to trust your brand and become loyal customers which will then boost your business. In no time, you should be able to skyrocket your email list and see the kind of conversions you deserve. What type of content upgrades will you use in your blog?